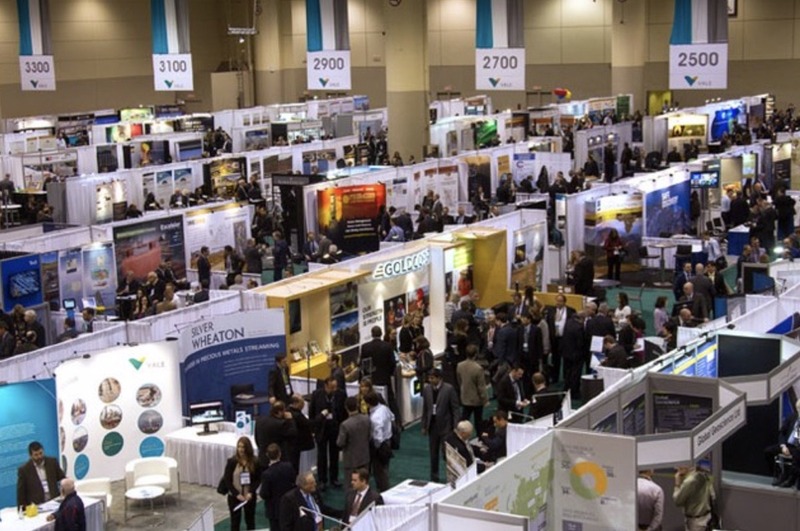 A barometer event in the mining diary, the Prospectors and Developers Association of Canada Convention (the PDAC) sees the proverbial good, bad and ugly descend on Toronto. I had not attended the PDAC for three years and honestly wasn’t sure what to expect after the cautious optimism at the South African INDABA. I was certainly encouraged by the diversity of attendance and the size of the event. The popularity of this event is down to the combination of over 1,000 exhibitors, 3,500 investors and 25,600 attendees from 135 countries converging. For those of us involved as consultants in exploration and development stages of projects it’s an opportunity to catch-up with associates, mentors and colleagues, do some CPD courses, salivate over the latest technology and to see what work opportunities might be coming up. With another of my hats on, it’s an opportunity to meet with investors and prospective issuers and to read the financial pulse of the market. Unmanned ground and aerial systemsare continuing to play a greater role at all stages of natural resources development and operations. 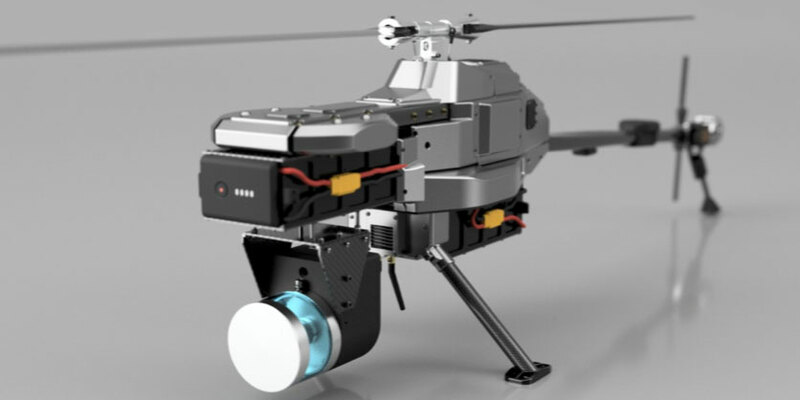 Improved payloads (LIDAR, imagery, etc.) and operational duration now offer rapid and repeatable monitoring options. Data– it’s my belief that many projects remain data rich but analysis poor. Quite simply we’re now able to generate more data than we can comfortably deal with. Beyond the opportunities offered by machine learning and early forms of quasi-artificial intelligence we are seeing a range of services now offered to help go beyond ‘dumb’ data management. Add virtual reality to those systems and we are rapidly evolving a range of strategies to leverage this wealth of data. Core Scanning– back to the data; there are some really interesting (and expensive) pieces of equipment to deliver exquisite levels of image, spectral and x-ray data on drill core. This is genuinely fascinating science, but, for the time being, I fear beyond the financial reach of the juniors where every dollar counts. X-Ray Fluorescence (XRFs)– where did all these XRF suppliers come from? As to reading the pulse of the market, my prognosis is much the same as from INDABA – cautious optimism. It’s clear that some companies are manging to access the capital required to drive exploration and development but it’s hard to come by and invariably requires onerous amounts of effort and costly fees. Frankly, that benefits neither the investor nor the issuer and that cannot be good for the long-term, sustainable health of the sector. 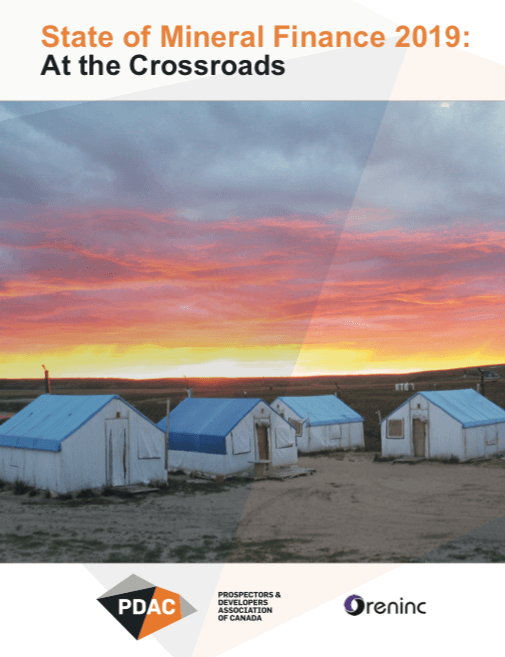 The PDAC State of Mineral Finance 2019 report pays much attention to the fact 2018 global exploration spending was up 20% but that equity financing had dropped some 35%, stalling the investment rebound established over the previous two years. Passive and alternative high-risk sector investment continues to usurp mining and had it not been for strategic reinvestment by majors the figures would look all the worse. I would offer two thoughts on what needs to change to help improve the overall situation. Firstly, the sector as a whole is woefully complacent on how it communicates with the rest of the world. The mantra of “If you can’t grow it, you need to mine it” simply won’t cut in when we see the devastation of tailings dam failures in instantaneous and viral high resolution and that a sizable percentage of the media projection of this ‘dirty’ sector is far from complementary. At an individual, corporate, government and market level we need to correct this narrative as soon as possible, also ensuring that it is heard by the subject of my second point which is the demographic shift in mining investors. Secondly, the traditional and now aging investors who are comfortable with the natural resources sector are a dying breed – literally. The mining sector must reach out to pools of non-traditional investor capital and that quite simply cannot be achieved via the broker route. A new generation of young, affluent and intelligent investors are undoubtedly the untapped source of financial hope, albeit they are largely unaware of the opportunities and complexities and risks of the natural resources development pathway. The challenge is to raise an awareness of the opportunities presented by professional and experienced teams with strategic vision and an uncompromising attitude towards sustainability and corporate social and environmental responsibility. It’s my belief that both of the above issues can be addressed through a shift away from the broken traditional routes to finance and by leveraging the power of platform technology. This is certainly what MINEXIA has been intent on achieving through its NR Private Market platform and I was encouraged by the interest expressed by the majority of investors and prospective issuers for what our platform has to offer. The PDAC will undoubtedly continue to be one of the leading events in the mining diary and is likely to continue to grow but one wonders at what point the tenuous financial momentum that has been trundling along for the past few years will stall. A new age for natural resources in undoubtedly upon us – who will evolve and who will atrophy remains to be seen. Drew Craig isMD and Principal Geologist at Rocklore Exploration Services and Technical Director at MINEXIA. Connect with Drew on LinkedIn. Previous articlePodcast: Advice for future mining entrepreneurs from Keith Barron of Aurania Resources.